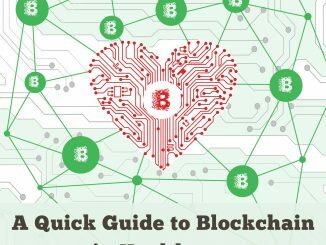 HomePublicationsHot off the press: “A Quick Guide to Blockchain in Healthcare” – updated! 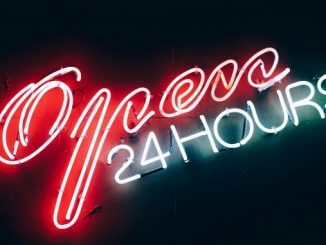 Fun fact: We at Intellicore Press don’t just write for our clients – we write for anyone with an interest in blockchain technology. 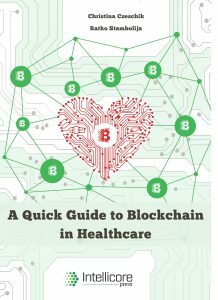 Case in point: “A Quick Guide to Blockchain in Healthcare”, first published in April 2017, has been a best seller in our publishing program since then. 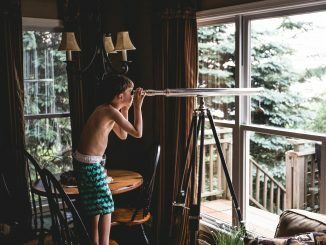 But even though the book is barely a year old, we felt that it needed an update badly – too many interesting new startups have entered the stage in the meantime, and projects that were underway a year ago have been successfully implemented. And don’t forget ICOs! While 2017 was the top of the ICO craze – but ICOs were not covered in the first edition of our book – we can now look back dispassionately and see that in healthcare too, there are ICOs that are worthwile, and some that are not. The updated edition therefore includes a short primer on ICOs, what they are and what they’re not. All this for just $9.99, or $6.16 on Kindle. 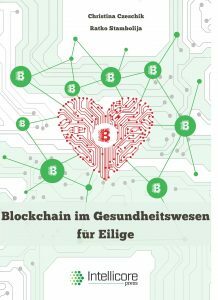 “Blockchain im Gesundheitswesen für Eilige” für nur 8,45€, oder 4,99€ für den Kindle.